Home » Caribbean News » Did This Former Cambridge Analytica Chief Use The “N” Word To Describe A Caribbean Leader? Did This Former Cambridge Analytica Chief Use The “N” Word To Describe A Caribbean Leader? 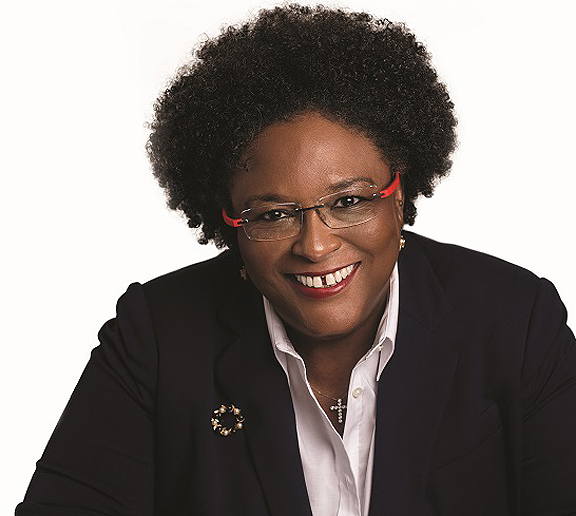 Nix allegedly referred to the former opposition BLP leader and now Barbados PM, Mia Mottley, by the “N” word. News Americas, NEW YORK, NY, Tues. Oct. 9, 2018: Cambridge Analytica, which became a household name globally after an investigation revealed the firm’s unauthorized use of data from millions of Facebook users, is in the news again – this time as it relates to elections in the Caribbean. The Guardian is reporting that Alexander Nix, the former chief executive of the elections consultancy, allegedly used the ‘N” word to describe new Caribbean prime minister and current PM of Barbados, Mia Mottley. The messages are dated October 2010 when the BLP was in opposition and Nix and company were apparently pitching for business. Nix had worked in the Caribbean previously for SCL Elections, a sister company of Cambridge Analytica, before both closed down earlier this year. Nix did not respond to the story. SCL worked for the St Kitts Labour party in two previous elections, including in 2015 when the party, under Denzil Douglas, lost. They have since reportedly offered to work for the now opposition Labour party. The post Did This Former Cambridge Analytica Chief Use The “N” Word To Describe A Caribbean Leader? appeared first on Caribbean and Latin America Daily News.